Spring is here and it's time to embrace the NEW! As you spring clean, don't forget to toss out any product that you haven't used in over six months or products that are taking up valuable closet space. It's also a great opportunity to acquire some lighter hair care and styling products for the changes in temperature and humidity to get the most out of your hair style and texture. Here are our top picks and recommendations of new products to try this season. 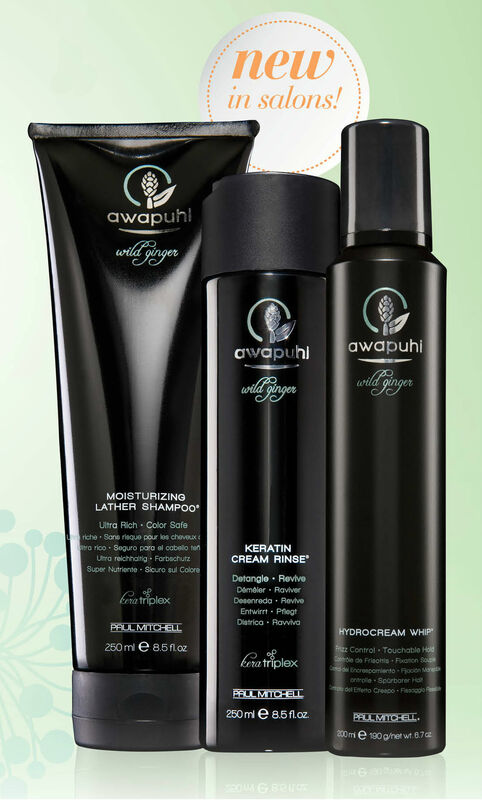 Paul Mitchell Awapuhi Wild Ginger Moisturizing Lather Shampoo & Keratin Cream Rinse are excellent to repair, hydrate and strengthen your dried out winter strands. This new formula from Paul Mitchell is sulfate free which is ideal for colored hair, yet gentle and light enough to provide shine and protection to all hair types. For styling, try the Paul Mitchell Awapuhi Wild Ginger Hydrocream Whip to control frizz with touchable hold and healthy looking shine and volume. Redken recently introduced two products that have our stylists and clients raving! To heal dull, dry winter worn hair we highly recommend Redken Extreme Length Primer and Sealer. Do you have the dilemma of trying to grow your hair but it seems to just stop at a certain length? The reason is hair breakage due to weak, unfortified strands. When these two products are used together, they can potentially increase hair length by up to six inches! We've heard positive feedback from users that their hair feels healthier, shinier and stronger. Your hair is probably dry due to the extreme temps from the winter months. Cold, dry air outdoors and warm, dry air indoors really sap out hair's moisture. To cure dry and damaged hair, we recommend a weekly dose of Redken Extreme Strength Builder Plus. This fortifying hair mask provides intense repair for highly damaged hair. It conditions and strengthens weak strands to the core and leaves hair 96% stronger! 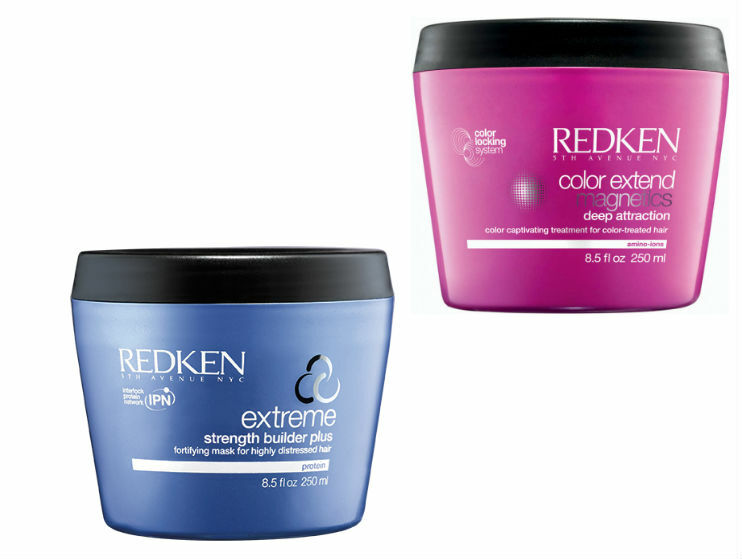 For color treated hair, try Redken Color Extend Magnetics Deep Attraction Mask. This sulfate free formula strengthens with intense moisture replenishment while extending the life of your hair color. You'll have softer, smoother and more fortified hair blowing in the spring breeze! The best thing you can do to refresh your style is to visit your local Hair Cuttery for a professional cut. Plus, COMING SOON, New from Redken-Frizz Dismiss will be in all Hair Cuttery salons April 7th! Be sure to ask your stylist about these new products and get their expert advise on what will work best for your hair type and needs. If you need some hair inspiration, check out our #MyHCLook photo gallery of looks posted by our clients and stylists and be sure to upload your new look on social media with hashtag #MyHCLook for a chance to be our Fan of the Month! Happy spring everyone!